Reviews	November 26, 2016 No Comments. Do you enjoy whiskey? Do you like to rock out to The Flaming Lips? Are you an adventurous drinker? If you answered yes to any of these questions, Flaming Lips Brainville Rye Whiskey is definitely for you. FEW Spirits graciously sent The Drinking in America team some samples so we all got together last week and taste-tested this unique liquor. The verdict? This “flaming” whiskey will take you back to your ~alternative~ college days of jamming out and drinking with your roomies. This Brainville Rye is a triple collaboration between FEW, The Flaming Lips and Knoxville, Tennessee artist Justin Helton of Status Serigraph. It launched in September 2016 and was rolled out worldwide in October. With only 5,000 bottles to go around, it’s a very limited edition- so get your bottle ASAP! With maple and vanilla aromas, this drink is smooth but will definitely turn your night up with a strong, but not terribly sharp, 80-proof taste. Compared to other rye whiskeys, this one definitely stands tall. But the one thing that stood out to us the most- the super cool illustrations on the bottle. Slap this design on a t-shirt and we’ll take twenty. This is an awesome collectible for any Flaming Lips fan. 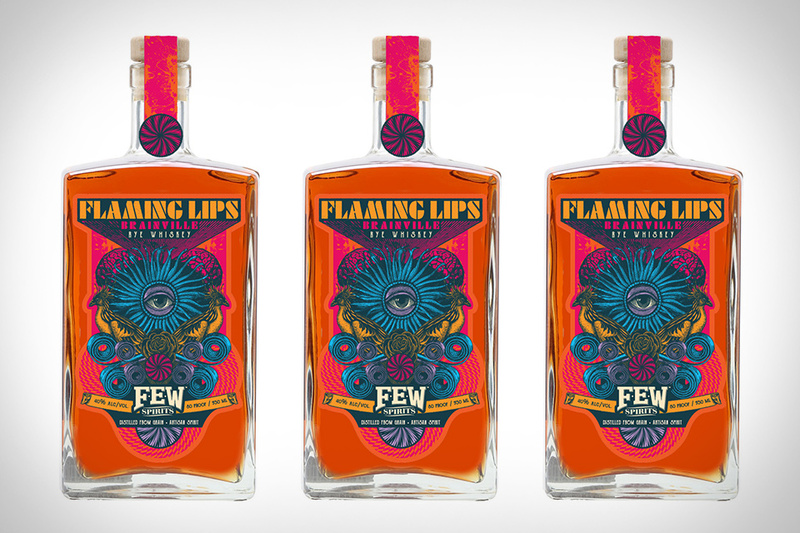 On that note, go get your limited edition Flaming Lips Brainville Rye Whiskey, invite your friends over, and jam to some Yoshimi Battles the Pink Robots! Free Stuff People Sent Us That We May Or May Not Like. Round XXXIV. Free Stuff People Sent Us That We May Or May Not Like. Round XXXVII. Maryland-Style Rye Whiskey From… Maine?